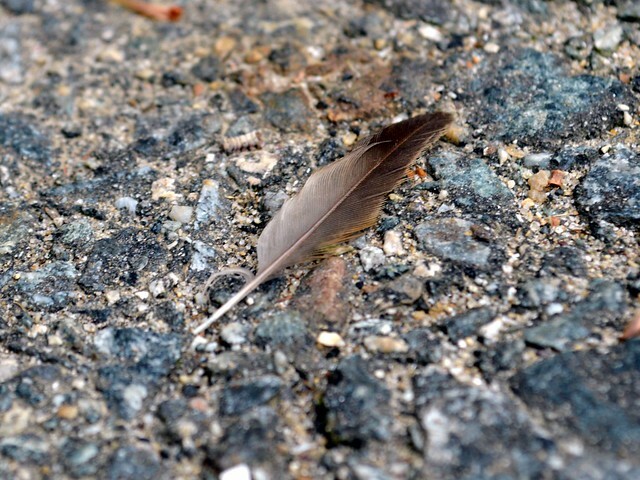 Somehow this feels like the perfect thing for the beginning of October, even though I spotted it in out driveway a few weeks ago: a teeny, tiny perfect feather. On the basis of color and shape, I’m guessing a baby turkey. We’ve had a gaggle of five hanging around on and off with their mother and an aunt. I just love nature – it creates such amazing things!